The ring system allows for ultimate flexibility in use, with the system designed to allow you to achieve maximum build efficiency whilst minimising personnel. The bolt-free rosette provides 8 connections on each level – four at fixed and four at variable angles, making the system versatile for simple and complex sites alike. Without the need for bolts, Proscaf can be single-handedly assembled three times faster than traditional tube and clip systems. Simply lock the wedge into any rosette and the piece will self-support, giving you a load rated base to build from. Build with confidence – the highly-engineered properties of the system and extensive technical data available means that engineering of complex structures is simplified and streamlined. 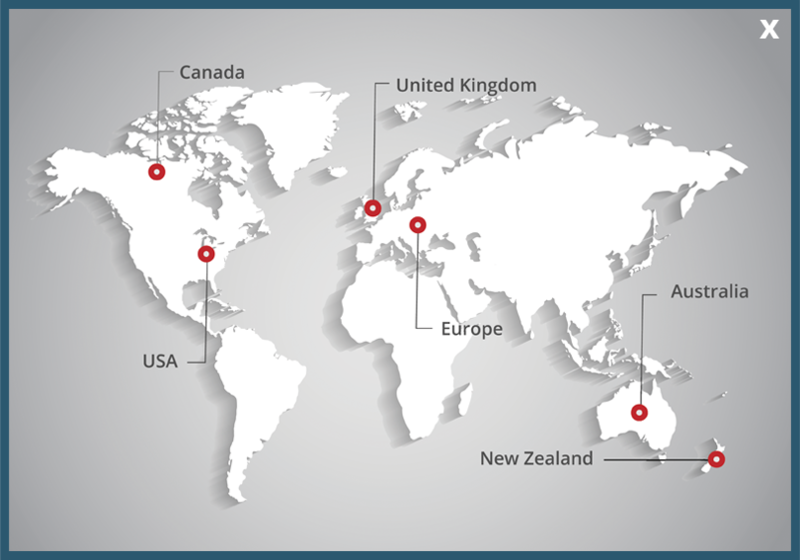 Extensive QA processes and batch testing & stamping of every component assists the operational team in verifying and tracking any piece of Proscaf you own. Needless to say, Proscaf fully complies with AS1576:2010 and is manufactured through our ISO:9001-certified production arm. 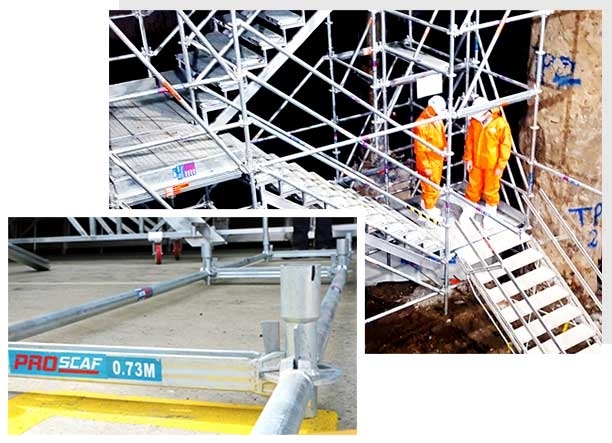 Components to create public access structures such as stairs, ramps, and viewing platforms.